Any relevant news about Members of the Group is welcome for inclusion in this page. Please use the news input form to send details to be added to this page. Tees Digital Photo Group member Ken Broomfield reached the age of 90 on the 10th August 2011. The Group is fortunate in having amongst its wide ranging age membership several members who are over 80, they are some of the most active members of the Group and have a wealth of experience that they are willing to pass to members who are prepared to watch and listen. Tees Digital Photo Group member Paula Davies was recently awarded an Associateship in the Visual Art category of The Royal Photography Society Distinctions. "It is well known that a photograph may not be all that it first appears. What may look like a mountainous landscape could, in fact, be drips of paint on a building which have been weathered by the wind and rain. Turn the picture upside-down and what can you see? Maybe some oil has been spilt on slate. The resulting colours, together with the textures etched over the years by the weather could be imagined as a rocky beach scene. In my photography I enjoy finding small parts of man-made or natural objects and taking a close-up photograph which gives the impression that it is something else entirely." He joined the Tees Digital Photo Group in 1998 but he has been an active member of the Darlington Camera Club for a great number of years. Myles has not kept a record of the number of International and National Exhibitions (including one in South Africa) and the Federation competitions in and outside of the NCPF he has judged. Myles does remember being a judge for the National Slide Competition on two occasions, at Solihull and at Warwick. Myles has served on the Licentiate Panel of the RPS and has twice been a member of the panel for PAGB distinctions. Myles, turned 89 on 10th April 2008, can now say "I like making pictures, and I particularly like making pictures I like". Visit his gallery on this site. Earlier in 2004, Dave Coates was invited to submit a selection of his pictures to a book publisher. The outcome was two books large illustrated books entitled, Lake District Landscapes and Yorkshire Dales Landscapes. Details of these coffee table sized books can be obtained on Dave's website. A quote from Dave's website reads: "It is often said that the skill of landscape photography lies not so much in photographing the land itself, but more in photographing the light as it falls on the land. For me this is never more true than when roaming with a camera in the Lakes." The Photographic Society of America (PSA) grant star awards to members who achieve set numbers of acceptances in PSA approved international exhibitions - most of which are also FIAP approved. Member Cliff Banks has been awarded a 1 star award in May 2004, one of only two people in England to have achieved the award in Electronic Imaging where over a period of two years he has accumulated 32 acceptances in electronic international exhibitions using 17 different pictures. Details of star awards appear on the PSA web site. If anyone requires further information about the RPS Distinctions Service this can be obtained at: RPS Awards. Congratulations to Bert Snell and Paula Davies who have been granted AFIAP (Artist FIAP) by FIAP. If anyone requires further information about the FIAP Distinctions Service this can be obtained at: FIAP Awards. Congratulations to Dave Coates who has been awarded the Photographic Alliance of Great Britain's highest distinction for photographic merit, MPAGB (Master PAGB). If anyone requires further information about the PAGB Distinctions Service this can be obtained at: PAGB Awards. He entered slides for assessment, three of the images 'Box of Pencils', 'Golden Woodland' and 'Yewbarrow Landscape' are included in his gallery page on this site. Other pictures in the page have been accepted into International Exhibitions, either as prints or slides, or both. In the case of Slide Exhibitions they have all been turned into slides, either by photographing the print, or by have the digital file converted to a slide professionally. Dave has also been granted AFIAP (Artist FIAP) by FIAP. If anyone requires further information about the FIAP Distinctions Service this can be obtained at: FIAP Awards. Further congratulations to Sandy on being awarded a PSA4* award from the Photographic Society of America for colour slides. To obtain this award Sandy was required to have had 320 acceptances in PSA approved exhibitions with at least 64 different slides. If anyone requires further information about the PSA Distinctions Service this can be obtained at: PSA Awards. Congratulations to Sandy Furniss who has been awarded MPAGB (Master PAGB) by entering colour slides some of which were digitally produced. Sandy joins a select few British photographers to gain this distinction. Congratulations to Tees Digital Photo Group member Ray Thompson who was 93 on the 23rd January 2010. Ray has been involved with photography for most of his lifetime. He is an Honorary Member and a Fellow of the Photographic Society of America, an Associate of the Royal Photographic Society. He has been given the Award of the Photographic Alliance of Great Britain for services to photography and is Honorary Member of the Indian International Photographic Council. He is also an Honorary Member of the Lebanon Pa Camera Club, Honorary Member and Founder Chairman of the Third Dimension Society. Ray has been made an Honorary Member of the Stockton-on-Tees Photo Colour Society. He holds the Service Medal of the PSA and is both a Country Representative and the UK Travel Aid. In the Exhibition Field he has about 150 acceptances and is a modest 2 star stereo exhibitor. Ray was informed on the 30th January 2003 that he has been awarded a second PSA Silver Star for editorial work in the PSA Journal. He has previously received four bronze stars. Ray was the recipient of the Photographic Society of America's Gold Medal in the 2002 International Exhibition of Photography exhibited at the 2002 PSA Conference. The print entitled Going Home was awarded in the small Pictorial Colour Prints section. 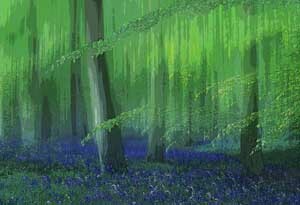 Group member Sandy Furniss has won the PSA Gold medal for the Best Contemporary Slide in the NCPF's 2001 International Exhibition with a digitally manipulated image entitled "Bluebells and Beeches". Other Group members to win awards in the competition include Gordon Follows, John Webster and Dave Coates. 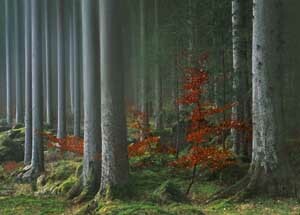 Sandy also won the gold medal in the Royal Photographic Society's 2001 International Slide Competition for "Woodland Enchantment". This picture is now known as "Dancing Beech". Hospice volunteer and member of Tees Digital Photo Group, Arthur Mountain, got a royal reward for his innovative idea to produce a training video for volunteers. The helper at Teesside Hospice was one of five volunteers nationwide to be awarded a special Help the Hospices Millenium Award Certificate by the Queen at a ceremony in London on Wednesday 17th May 2000.